When the warm weather is upon us, we need to take extra care with our dogs to ensure that they are kept safe and cool. Never leave you dog in the car as the temperature inside the car will be far greater than outside and even with the windows rolled down it doesn't take very long for your dog to overheat and can lead to brain damage or death. Dogs are not adept at cooling themselves and can only do so by panting and through pads on their paws. Light coloured dogs and those with pale noses may need pet suncream to protect them. The most vulnerable areas are noses, lips and tips of ears. Ask your vet on which brand to use and try your best not to let the dog lick it off. Where possible when very hot try to refrain from taking dog out during the hours of 11-4 when the sun is at its hottest. Switch to very early morning or evening walks and where possible look for walks where there is some shade. It may be advisable to look into keeping coats shorter during summer months, depending on your dogs coat, a groomer will advise if this is the best option. Matts and tangles can cause heat to be trapped and having a shorter coat does make a lot of our cockapoos more comfortable. If out and about always ensure you have fresh drinking water available. There are many travel water containers available on the market for dogs. At home ensure water is checked frequently, as they drink more it is easy for the water bowl to be emptied quickly. Exercise and games: Be mindful of the heat and do not let your dog over exert itself. If dogs is tiring and panting heavily- time to go home. Again ensure water is available and take frequent breaks when playing. When sun is really hot, pavements and roads can become hot, so be mindful of your dogs paws too. Dogs paws can become blistered and painful. If you can't keep your hand down for longer than 5 seconds on the pavement, then it's more than likely too hot for your dogs paws. Look for walks that has shaded areas and not be totally exposed to the glaring of the sun. Busy Places: When the summer is here it does mean places get more crowded. Try and avoid crowded areas as best as possible, as this can be stressful for our dogs. BBQ's : Popular in the summer, again ensure your dog is kept away from any one cooking, and flames, and that dog is not over fed with lots of fatty foods. Also watch them near any food on display as for some wil be to much tempation and they may take something to eat that that shouldn't. i.e cooked chicken bones. Also be aware of leaving any garden tools around that the dogs may try and play with, which could cause serious injuries. Also make sure they cannot get into the garden shed if you are keeping tools and pesticides in there. Check dogs paws and ears on return from walks. These can easily embed themselves into the crevices between paws or in ear canal and can lead to infections and can travel into the body requiring surgery. Grass seeds have the potential to penetrate through fur and into the skin, so if you suspect one is stuck in your pet’s paw, soak it in salt solution. For the solution, use one teaspoon of salt to one pint of cooled boiled water. Place the paw in the solution for up to 10 minutes to see if this dislodges the seed. Some pets will tolerate this better than others – don’t force them to comply if they’re unhappy. If the seed is visible above the skin, you can use tweezers to remove it (not sharp-ended ones, though). Ensure you remove all the seed and its hair. If you can’t extract it, or if the area becomes infected, contact your vet immediately. It’s easier to resolve grass seed injuries with early intervention. Try to stop your dogs from chasing them , as if stung on the tongue can cause the tongue to swell and will interfere with breathing, as airway will be blocked. Unfortunately sometimes they are easy to step on. If you dog has been stung by a bee, remove the sting with some tweezers. If out try using a credit card, but try not to squeeze the poison sack. Bathe the area with Bicarbonate of soda, about a desert spoon to one pint of water. If a dog shows any symptoms of heatstroke, move him/her to a shaded, cool area and ring a vet for advice immediately. Heatstroke should always be treated as an emergency. Let the dog drink small amounts of cool water. Never cool the dog so much that he/she begins to shiver. Then go straight to the veterinary surgery. 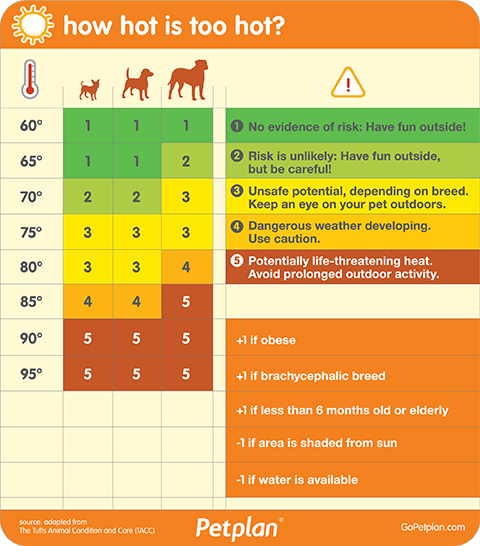 How do you know if too hot for your dog? Place the banana in a blender or food processor. Add 32 ounces plain yogurt. Scoop 2 tsp. of peanut butter and 2 tsp. of honey into the mix. Alternatively, try goat's milk yogurt for a treat containing much less lactose. Round up paper cups, small plastic containers, ice cube trays or muffin tins to use as moulds for the mixture. Pour small amounts into the cups, muffin tins or plastic containers. It's not only children that love them but most dogs do too! A great source of entertainment , they love a splish , splash , splosh! Are mats that keep cool so are great for your dog to have a snooze on when the weather becomes too hot for them to sleep. There is a great selection on Amazon of varies sizes and price ranges. This amazing cooling pad will keep your dog cool even in the hottest weather. This mat is perfect on hot summer days and will help your dog to feel comfortable during the sunny season. It folds down into a space-saving size so you can take it with you when you and your dog are on the road. Use it in the car, in cafes or wherever it is needed. 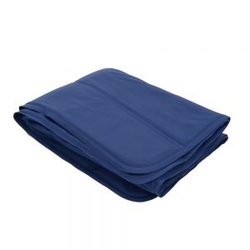 The Keep Cool mat is easy to clean – simply wipe the surface with a damp cloth and a neutral cleaning agent. You can also buy Cooling coats for dogs that they can wear to help keep cool. If you key in Cool Coats you will get various companies come up selling them or check out Amazon. * Wet towels for dogs to lay on, refresh after they get dry.